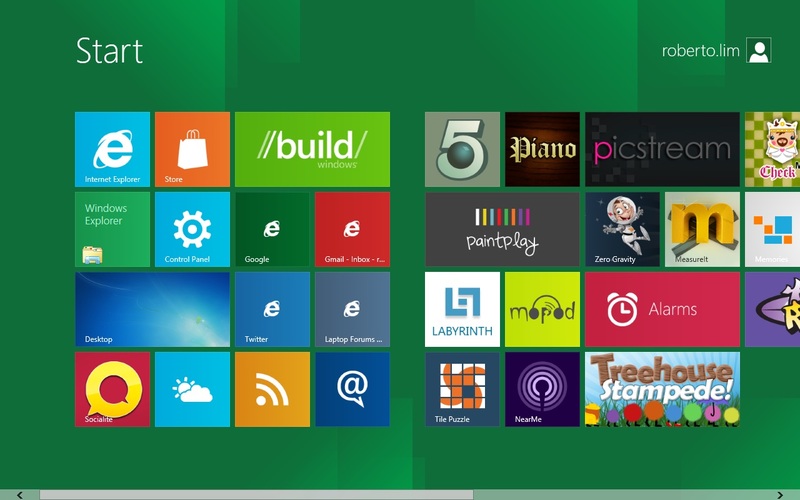 Windows 8 Developer Preview runs surprisingly well on my old laptop which has only 1GB of RAM and is powered by a dual 1.8GHz Intel Core2 Duo processor. Basically, four year old specifications. Before going any further, I installed Windows 8 on a laptop which is essentially now just a back-up machine. I do not recommend that you install it in your primary PC. This is a Developer Preview Release. It is not even a beta yet. That being said, it works well and I have not had any crashes so far. The only thing I had to do was to install a the Intel Graphics driver (you can use Windows 7 drivers). I am actually posting this while running Windows 8. Well, that is all for now. Here are a few screenshots. on the screen with the mouse (or less spectacularly tap the space bar), just like on a mobile phone. 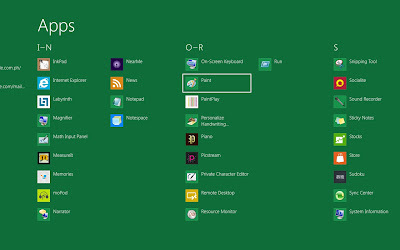 Clicking on the icon (er... Tile) labled Desktop brings you to a familiar looking desktop. 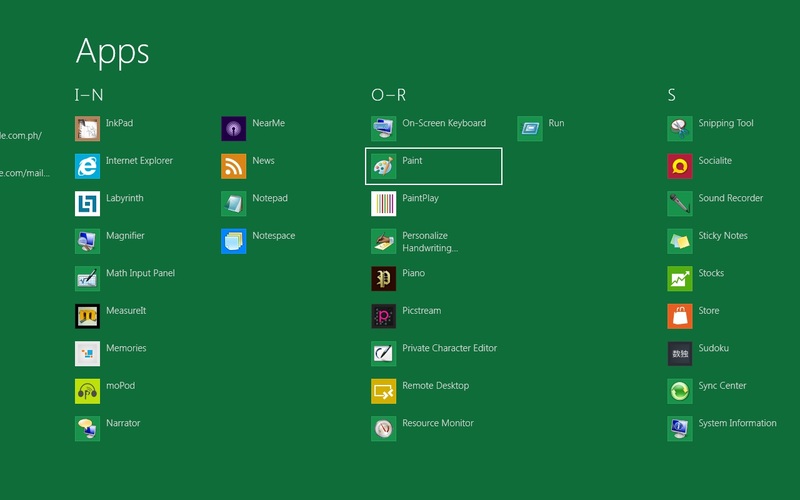 The traditional Windows Start menu is gone. To find your Apps (yep... no longer call programs), go to Search. If you use a Windows Phone 7 device, parts of it should look pretty familiar. 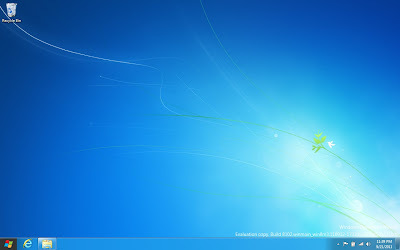 If you use both a Windows Phone 7 device and a Windows 7 PC you should have no problem getting use to the new set-up. Initial impressions? It is different. I am not sure whether I like this or not, but it does work, and it is surprisingly fast. Will use it for a few weeks to give it a fair shake.